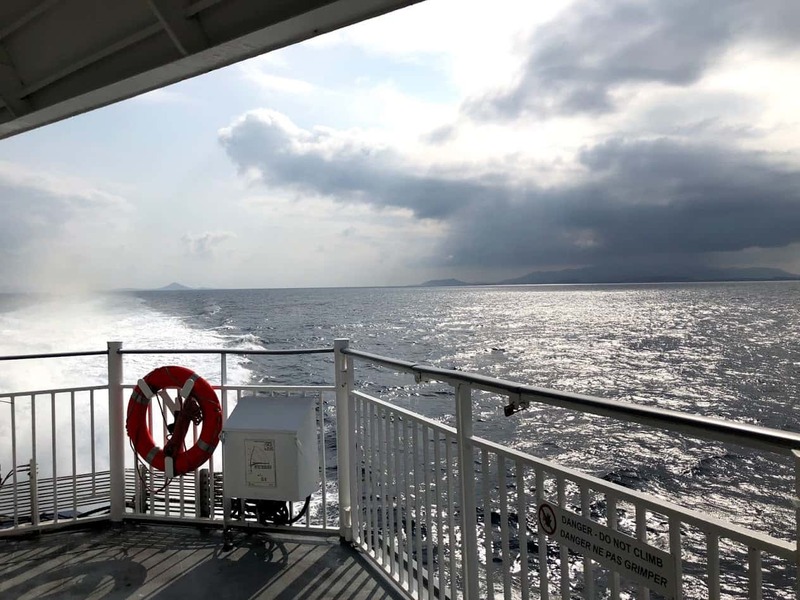 The Naxos to Crete (Heraklion) ferry route is only served by 1 ferry operator, Seajets. The average cost for this trip is 80€ while the trip duration is approximately 3 hours and 45 minutes. Champion Jet 2 ferry performs this crossing on a daily basis, departing at 14:55 and arriving at 18:40. How long is the ferry ride from Naxos to Heraklion? Naxos is not very close to Heraklion, but high-speed catamarans operating on this crossing can take you from the heart of Cyclades to the island of Crete, in just 3 hours and 4 minutes. Ferries operating on this crossing belong to a rather popular ferry route, which also includes Mykonos, Ios, and Santorini. Given the popularity of the aforementioned destinations, ticket prices are relatively high. Specifically, the usual minimum price for an adult is 78€ for a standard seat, while the average cost of business class seats is 100 €. What is the distance between Naxos and Heraklion? The distance between the two islands is almost 140 miles or 225 km. How frequent are ferries from Naxos to Heraklion? You can find a ferry to take you from Naxos to Heraklion at any time, as schedules are performed on a daily basis. In high-season, there will be at least 2 ferries per day departing during morning and afternoon hours. During winter months where traffic on Mykonos island is substantially lower, only one or two ferries operate on a daily basis on this crossing. When traveling from Naxos to Heraklion, you will have the chance to enjoy the amazing view of Santorini Caldera. You don't want to miss that. Champion Jet 2 has an open deck that is accessible at any time if weather is good enough to allow for it. The port of Naxos can become very crowded during August, and multiple ferries can arrive/depart at the same time. Make sure to be there on time, and ask the port authorities personnel for information regarding your ferry. Tickets to Heraklion always sell out fast during high-season. If you are planning to take a ferry from Naxos to Heraklion on late July or August, make sure to book your tickets well in advance. If you are visiting Heraklion for more days and you do not want to spend a fortune on accommodations, you should definitely book a place to stay as early as possible; at least 4-5 months in advance. If you prefer to visit an island to cyclades, closer to Naxos you can travel to Paros, Santorini, Ios, Amorgos, Koufonisia, Tinos...and you can always check ou Ferry Map for more ideas and suggestions.